Ms. Carpenter was admitted to the practice of law in California in 1975. After a career in legal services, Constance began private practice with law partner Dan Mayfield in 1982. Ms. Carpenter currently practices in Family Court, Juvenile Court and Probate Court. 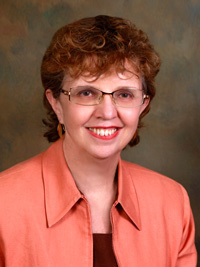 She has handled many hundreds of dissolution (divorce) cases in Santa Clara County over more than 25 years, addressing in negotiated settlments or litigation all issues involved in dissolution of marriage including property identification and distribution, determination of child and spousal support, and child custody and visitation. Ms. Carpenter also routinely handles post judgment litigation concerning modification of child custody and visitation, child support and permanent spousal support. Ms. Carpenter is experienced in the representation of parents, grandparents, foster parents and other interested parties in child custody, guardianship, adoption and juvenile dependency matters. In recognition of her experience and skill, Santa Clara County Superior Court Judges have appointed Constance to represent children in numerous highly-contested family law and probate guardianship custody and visitation cases. Constance received the President's Pro Bono Service Award from the State Bar of California in 1988. She is a former trustee of the Santa Clara County Bar Association. She has received special recognition from the Pro Bono Project of Santa Clara County and Legal Advocates for Children and Youth (LACY). Ms. Carpenter is a member of the National Assocation of Counsel for Children. She has been a member of the National Lawyers Guild since 1972.